Plants are wonderful. They brighten up a your sleepy apartment and they purify the stale air inside. But if you have small place, they're just about the last thing you want because they take up so much room, and there isn't exactly a convenient spot for a garden inside a 25sqm studio. 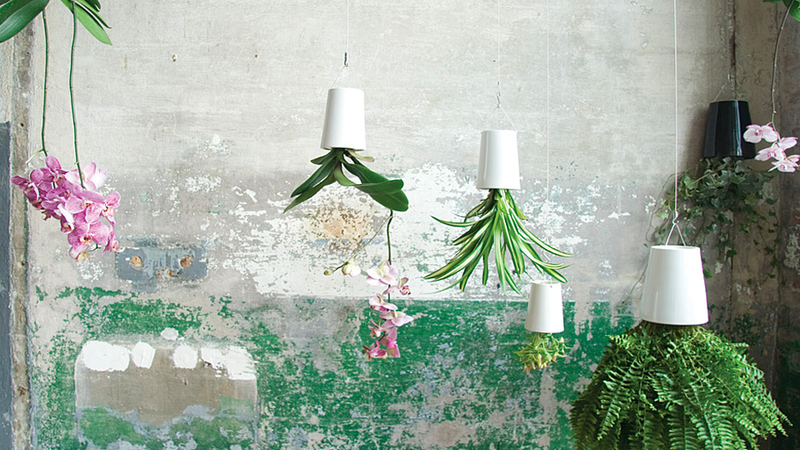 However, Boskke's playful upside-down Sky Planter works in an apartment or home of any size. Pop a fern or an orchid, or whatever you chose into the container, hang it from your ceiling, and you'll have your own urban garden. The pretty planters start at $US18 and come in a variety of styles.